This string of cute goldfish lights will cast a soft, white glow around the room, making them an eye-catching alternative to a night light. 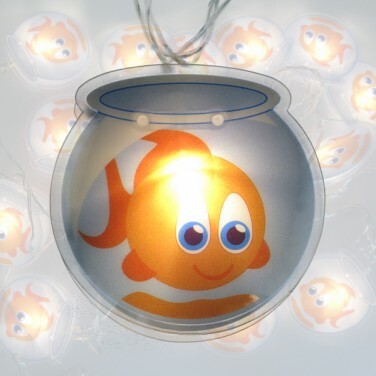 Kids will love falling asleep in the pretty, warm glow of these Goldfish Stringlights. Sixteen wide eyed goldfish decorate the length of these lights, each lit with a soft, white LED, casting a warm, soothing glow around the room. 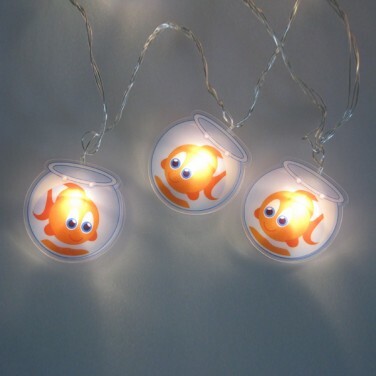 These string lights will brighten up any room with their vibrant goldfish images, and make a great alternative to night lights for a bedtime glow. 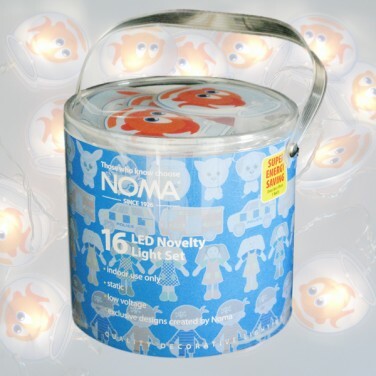 Hang this colourful and eye-catching fish pendant light shade from your child's ceiling for an instant fun light.